Formed in the Soviet Union in 1945 by four Moscow Conservatory students, this ensemble quickly gained the attention of the country's musical elite. While the quartet's roster has changed over the past 60 years, their intense and unmistakably Russian performance tradition has remained the same. 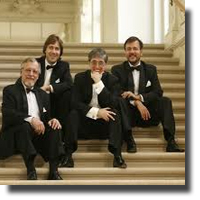 In last Tuesday's concert, the quartet performed Shostakovich's Opus 73 and 92. They were supposed to perform a Tchaikovsky quartet, but to the disappointment of some of the audience members, this didn't pull through. It was an all-Shostakovich concert. The first piece was String Quartet no. 3 in F major, opus 73, which was originally performed on December 16th 1946 in Moscow. by the Beethoven Quartet, to whom the piece is dedicated, and is just over a half an hour in duration. Shostakovich had written it that year, the same year that Pasternak commenced writing Dr. Zhivago. It was the only piece of music that he composed that year, and this was the last quartet before the attack on composers in 1948 by Andrei Zhdanov who was responsible under Stalin for culture. The audience applauded loudly after the last movement, an adagio, and strangely enough, this was a fifth movement. This is rare because only three or four movements make up the conventional format. 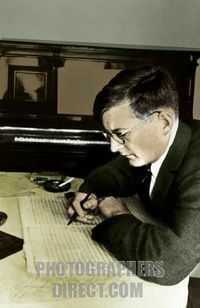 History also records that during rehearsal, Shostakovich was moved to tears. The Vancouver audience was not really moved to tears, but from their reaction, it was indeed a moving piece. The other composition, String Quartet no. 5 in B flat major, opus 92 was first performed in November 1953 following Stalin's death although it had been written one year earlier. It contains three movements: Allegro non tropo, Andante, and Moderato. It's a piece that joins all the movements to create a work without a pause. Although I found the atonal style of Shostakovich a bit disturbing, as this style of composition pervaded 20th century compositors, the musicians were able to render this composition with finesse, especially in the first movement in sonata form. The bittersweet Andante in the second movement was also delightful, as it was inspired by Galina Ustvolskya, his student with whom he had romantic feelings. It's always a delight to attend concerts organised by The Friends of Chamber Music who have, in the past 65 years, brought in a lot of interesting groups, such as the Takacs Quartet, Beaux Arts Trio, Emerson Quartet, and others, which we have reviewed in the past 15 years.